The implementation of PV into buildings should not be considered an added novelty product supplementing current construction materials, but rather be seen as an integrated part of roofing and facade material that could add substantial value to building material suppliers range. Prices of solar cells and solar panels have fallen dramatically over the last few years. This (and state subsidies) has been good for the advancement of this amazing renewable energy source, and solar energy can today be seen as an established energy source, reliable and well distributed, cost competitive with traditional non-renewable energy sources and with a very healthy annual growth in installed solar panels. Annual solar cell installations have rocketed from less than 5,000 MW per annum before 2008 to around 40,000 MW per year today and still increasing rapidly. The market is especially strong in Japan, China, the USA and Great Britain. However, the flip side of these price reductions in solar cells and solar panels has been a consolidation, or rather a knockout, amongst suppliers of solar cells and solar panels. They have had a very difficult time making profits and most solar cell manufacturers have gone bankrupt, ceased production, been sold off or rescued. Looking specifically at the thin film solar cell sector, First Solar, Solar Frontier and Hanergy are the”last men standing”. They have chosen different strategies to stay in the game. Hanergy of China is the ”Pac-Man” of the global solar cell industry: the company has gobbled up competitors like Miasolé, Global Solar and Solibro and has announced that they will have a capacity of 1 GW by the end of this year. Solar Frontier of Japan has achieved economics of scale on a protected and large home market (but will soon need to reach other markets too). First Solar of USA is the largest thin film solar cell company in the world with an annual production capacity of 2 GW. The company’s success is the result of a shift in business model from a specialized manufacturer of solar cells to a more diversified company that also prospects and constructs solar cell parks (with the company’s own modules, of course). First Solar’s strategy has been very successful and the company installs solar parks all over the world. First Solar’s success shows the importance of vertical integration. With small margins in every link of the chain it helps to control the entire chain, or at least a long piece of it. It is my firm belief that we have only seen the beginning of a strong vertical integration trend in the solar energy industry. There are several benefits to vertical integration; increased control over the value chain, better cost control, smoother operations, higher total margins, security of technology, ownership of customers etc. We will see larger solar energy companies acquire their previous partners in the production and distribution channel, or diversify into other areas. Acquisitions are by all means the fastest way forward, and most likely also the cheapest considering the dire straits many solar cell companies find themselves in, with owners eager to disinvest. The integration will go both ways: both towards the interface with the customers and towards the manufacturing of the equipment that make the solar cells. Owning a good supplier of production lines guarantees quality, cost effectiveness and proprietary technology. Third-party-owned solar (solar lease or power purchase agreement) has taken off in the USA and can also be seen as a way to control more of the value chain. Parallel with this vertical integration trend, I also believe we will see increased profitability in the solar industry. Fewer competitors reduce the risks of price wars and prices are slowly starting to rise again. The market is large, and growing. Another strong trend is building integrated photovoltaics (BIPV), at the expense of giant solar parks. Lower feed-in tariffs is making it more profitable to produce energy for your own consumption (factories, offices) than to feed it into the grid. Rapid advancements in thin film solar cell efficiency has improved the business case for such solar cells and property owners and managers are beginning to take notice, as do roof manufacturers and municipalities. The implementation of PV into buildings should not be considered an added novelty product supplementing current construction materials, but rather be seen as an integrated part of roofing and facade material that could add substantial value to building material suppliers’ range. Thin film CIGS solar cells are thin, light and flexible. They can be made frameless and can be bent and are ideal for buildings and other structures that are uneven, moving or weak. They are also becoming increasingly efficient. All the major potential investors in the solar energy industry today are looking at this particular segment. So to summarize: the shake-out is over. Vertical integration comes next, with a focus on BIPV that will make thin film CIGS solar cells the product of choice for many players in this arena. Profitability will return to the industry. The future is indeed sunny and bright. 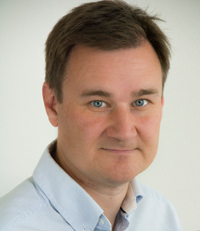 Sven Lindström is co-founder, Chairman and CEO of Midsummer, a leading global supplier of production lines for cost effective manufacturing of flexible thin film CIGS solar cells. Mr. Lindström has over 20 years of experience from international business and development of high tech production equipment and vacuum deposition systems. He has over ten years of experience from the development and management of solar cell production equipment and is a firm supporter of distributed electricity production.